Good part of your breakfast. Because a short time later, a breezy chill of refrigeration tickled exposed skin. There I was, face to face, with a behemoth wall of dairy. 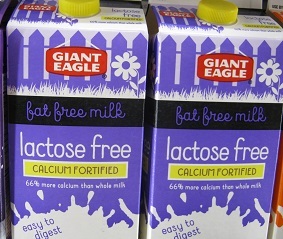 Jugs, cartons, bottles…large & small…bedazzled my milk-toast mind. When did milk decide to diversify? Growing up there were the big three…whole milk, two-percent and skim. Whole milk poured like paint. While skim was the milk for high-end people on diets. “White water” my brother called it. We were middle-of -the-road so 2% became our family’s milk of choice. Then along came 1%…splitting the dairy faction between 2% and skim. But today the selection of vitamin D before me was overwhelming! The shelf had milk…lactose-free and fat-free. I wanna know what the hell’s in the carton! Silk brand makes a bunch of weird stuff in the dairy aisle. 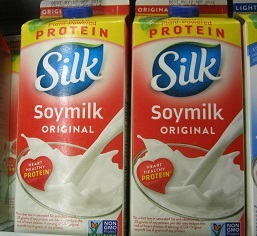 Soy milk? If I’m gonna drink milk, I want it to be the other three-letter kind—from a C-O-W. 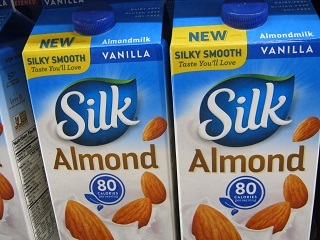 Silk also makes Almond milk. Organic Valley–is there an Inorganic Valley? There was organic milk. From organic cows, no less. 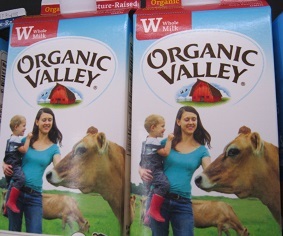 I can’t drink organic milk—I don’t drive a Subaru. 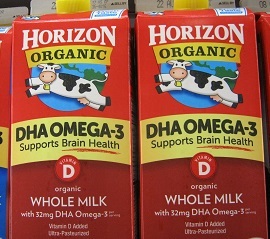 They even had milk that offered DHA Omega-3. I don’t know what that is but it seems sacrilegious to dunk my donut in something so healthy! 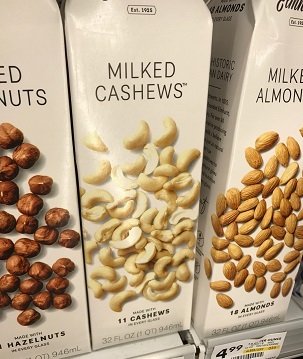 And all of this milk….made from nuts. 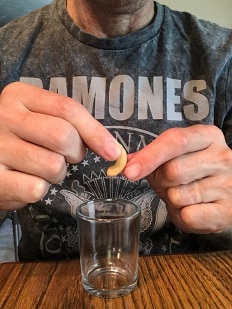 I spent all morning milking this cashew. I got nothing from it. I returned from the store empty-handed. All those many choices left me befuddled. And left my morning cereal milkless. Ha, ha we dairy-intolerant folks finally have ‘milk’ after years of missing out and not able to dunk cookies into a cold glass of the stuff. Absolutely, good times for you & others! So glad I am not dairy-intolerant—I love it TOO much. We have this dilemma in every purchase we try to make . Too many choices of cereal, toothpaste, shampoo, potato chips, the list goes on . Even what we choose to watch on TV is a dilemma . I remember when there were only 3 television networks, and you had to walk across the room to change the channel . Now, not only do we have cable, but the streaming networks like Netflix and Hulu . Who has time to watch all this s**t ? I even have this dilemma when I go to my nail salon . I was there yesterday and I swear they have 1000 colors to choose from . So when I go in there I already have a particular shade in mind based on whatever is trending and have my nail tech just show me 3-5 colors . I pick one out, Done Deal Dude ! All these choices give you variety in life. When it comes to your nails, always go with “blood red” you little heartbreaker! Ah yes. The modern age of grocery shopping. 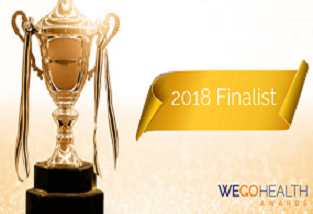 There are days when making a decision in the grocery story can be a real challenge. Similarly, the cereal aisle has grown into a mighty contingent as well. From my dim recollection of days long gone, there used to only be corn flakes, Wheaties, something oat based, hot cereals (cream of wheat, etc.) and … that’s about it. Now? Mr. Kellogg is probably smiling down from above. If you don’t know what you want before you get to the store, you might not emerge from the double sided aisle of breakfast options with anything either. Now? 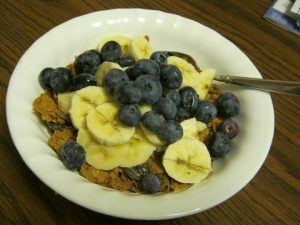 There’s all manner of “cereal” bars, toaster pastries , and a flock of organic, high in fiber and protein varieties. 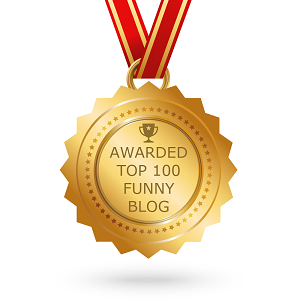 Take your reading glasses. Better yet, take a list and hope they haven’t changed the packaging since the last time you went looking for your favorite. Be still my heart you have mentioned my favorite aisle of the grocery…the cereal aisle. I could spend all day there! 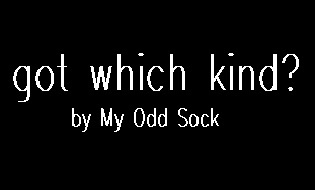 Appreciate your comment & spending time at My Odd Sock. Cracked me up as always!!! I say skip it all and hit the ice cream aisle!